The Georgian Bay Biosphere Reserve (GBBR) is a globally unique freshwater archipelago of islands, acting as a natural corridor for species movement across land and water. Relatively few roads and lower development have made this region an important place for species conservation. However, with more local development, expanding infrastructure networks, climate change and the spread of invasive species, our biodiversity is at risk.  GBBR works to build capacity for more sustainable and effective conservation efforts in eastern Georgian Bay. We partner with municipalities, Indigenous communities and conservation groups to enhance knowledge exchange and sharing of resources, to prioritize collaborative projects, and create synergy for sustainable conservation efforts along the coast. These partnerships ensure that knowledge gained becomes better applied to planning and decision-making.